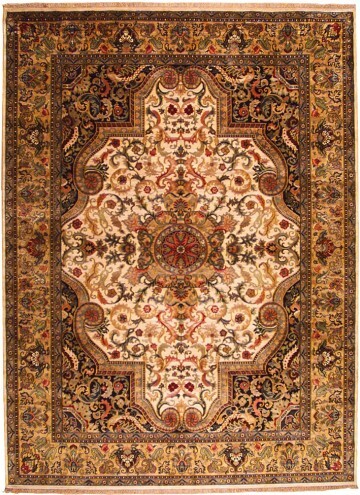 This Samad Jewel rug draws inspiration from distinctive European Savonnerie design to create a living work of art. Its classic medallion pattern is reminiscent of the Golden Age. Shown in Ivory. Available in a range of colorways.